Internal Linking is the process in this we internal link the post or pages/pages or pages/posts or posts.. Whatever your SEO skill, it will help you to clean up on some internal linking basics.This structure is little bit different from silo structure. The internal link connects one page of a website to other different pages on the same site. Remember that in an internal link, the source domain, and the target domain is the same. It provides your audience further reading options. For example, if you are writing about a new product and you have past related post then if you link in your new post then it creates internal link for you. It helps to improve your ranking for particular keywords. It also can help you to promote events and your other services. It also helps Google to crawl the site and all internal links in articles, as well as in category and tag pages. Defines the architecture and hierarchy of a website. Distributes page authority and ranking power throughout the site. Internal Linking Structure has four type of terminologies hub, ring, the web, and star. We discuss in this all terminologies in details and compare which is the best for our website or blog in these days. In this structure, all points to the central node. It could be used to point out the one page it could be your home page or another page. It does not pass the link juice it also engaged the user to this link. The ring structure you see in diagram clearly it’s like a loop. One page or post link to next one and the end node link with first page or post. Now we discuss web structure, in this structure, it is nothing more than the combination of the previous ring structure. But in this, each node point to the one central node. You can see in the diagram in which all nodes are connected to the one central node and also one node link to the next one and creating the ring surrounding to the central node. Now this is the final and little bit complicated from the other structures. It also relates to the ring. In this, it makes a regular ring with the link1 blue arrow are shown the Link1. In this, every post or page has two outbound links one is the next one post or link, and other is the two posts ahead to the structure. I hope the now concept is clear. Create lots of content. If you want to create lots of internal backlinks, then put a lot of content on your website. Use anchor text because anchor text is useful for the user and also for your site ranking. The best links and the most natural links in a content marketing strategy are deep within the structure of a site. Use links that are natural for the reader this is the good for your SEO and also Your reader. Use follow links are the best marketing strategy. Use a reasonable number of internal links. But how many internal links no one knows this answer. Best Live Example of the Internal Links is Aamir Iqbal Online. These all four types of internal linking are interesting. But I usually list some relevant articles at the end of my blog post. Will it be fruitful for me or I should stop doing that list? and i want to know web 2.0 backlinks are good ? can we use still software for create backlinks? Indeed an excellent share about internal links. Well you have nicely explained in your post along with some helpful diagrams which make it easy for individuals to understand better the best internal linking structure in SEO. Any links intended to manipulate PageRank or a site’s ranking in Google search results may be considered part of a link scheme and a violation of Google’s Webmaster Guidelines. This includes any behavior that manipulates links to your site or outgoing links from your site. Amir Bhai I use to link the last post with the fresh this is okay or I need to review this method thanks. I have tried it on my blog and now waiting for results. I made new blog by following your all techniques and applied for all adsense. Now I am waiting. How to add rel TAG in WordPresss? and in wordpress editor there is no Follor or DoFollow option? Where to Enter this? Is a one Internal link is good in 300-500 words article? Btw great effort, keep it up. 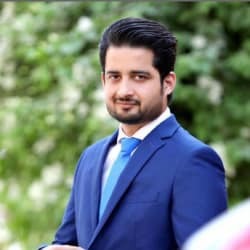 Aamir Iqbal, most popularly known as Sultan of Multan, is the biggest name in the industry of SEO and digital marketing. With more than 10 years of successful experience in areas of Search Engine Optimization (SEO), Market Research, Business Development and Technologies. Has also earned great name in executing projects involving Search Engine Marketing (SEM), Social Media Optimization (SMO), Web Analytics, Market Research including online consumer behaviour, understanding search engine behaviours skills which are instrumental in strategizing web promotions.